Last fall, Owensboro, Kentucky, began constructing its pilot program to bring Fiber-to-the-Home (FTTH) to a limited number of residents. Construction is complete and now the municipal utility is serving subscribers, much to the delight of folks in the city's Town & County neighborhood. There are 570 households and approximately 1,500 people living in the pilot area. As of late January, 80 households had signed up for service with 15 now being served at a rated of about eight installations completed every week. 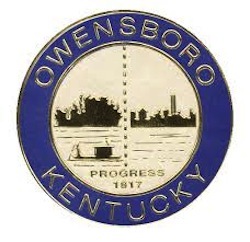 Chris Poynter, superintendent of Owensboro Municipal Utilities (OMU) telecommunications division reported to the Board that feedback has been positive and that customers have been "…very happy with their speeds and the installation process." OMU installed fiber thought the city in 1997 and two years later began offering high-speed Internet access and other telecommunications services to local businesses. OMU's goal is to serve a minimum of 20 percent of the households in the pilot area and if all goes well, the community will consider a city-wide project. Home to about 58,000, Owensboro sits across the river from Ohio. The city is the county seat and center of a metropolitan area of about 116,000 people. OMU also offers electricity and water services.